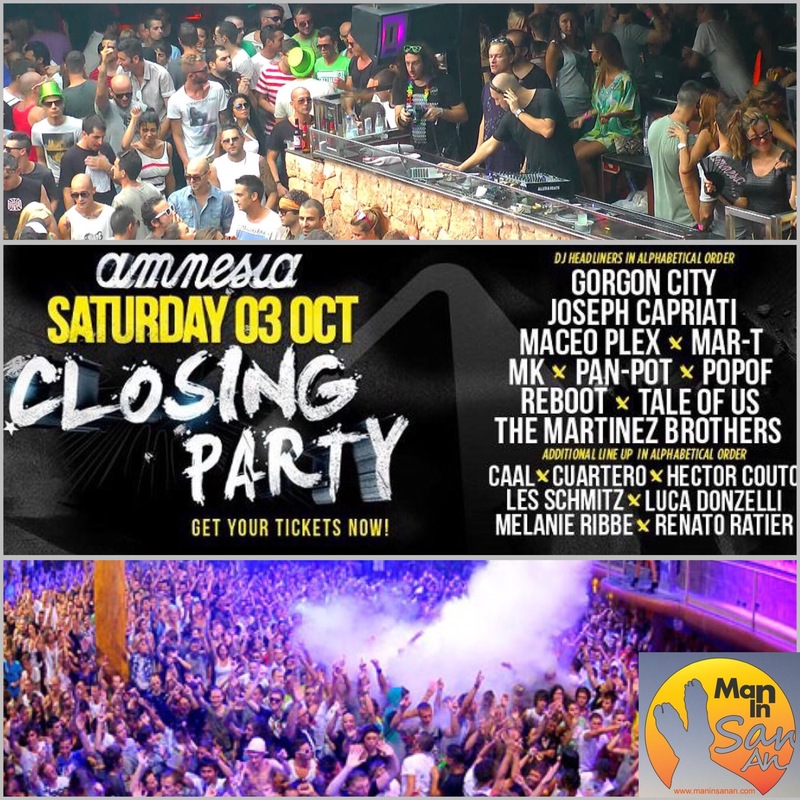 In clear defiance of an order by San Antonio Town Hall, Amnesia discotheque finally closed their doors early Sunday afternoon even though their licence stated that the club should be closed by 6am. Reports suggest the final partygoers left after 1pm, a massive 7 hours later than legally allowed. The Ibiza superclub had requested a late licence but this was refused by the coalition San Antonio government due to Amnesia’s prior flaunting of the closing time laws, in fact the it has been a consistent offender this summer with 15 previous infractions. This is a big test for the San Antonio government who have made lots of headlines about club and bar closing times especially in the central West End area under pressure from local residents. The conundrum for the Town Hall is that if they come down heavily on a world class clubbing institution then they will appear to be killjoys with no idea about what makes the island so famous but if they come down too lightly then they would be seen to ‘condoning’ a law breaking situation and others may follow suit. Many people were exasperated that the council did not grant a one-off late licence (at a reasonable fee) to one of the worlds top clubs especially as they have a reputation for ‘carrying on the party’ whereas some residents complained of the dangerous amount of intoxicated people and traffic seeping out of the club into the light of the early afternoon. Other local business owners have also been complaining of dual standards that see a bar fined the same as a superclub and are calling for a level playing field and some common sense with respect to closing times especially for one-off events. After all the negative publicity this summer the punishment for breaking any law should be deterrent and clearly the fine for Amnesia thumbing its nose at the authorities and staying open late was less than it made out of drinks sales so the law on this occasion was no deterrent at all. Where a law is routinely ignored you either change the law to reflect the needs of the community or change the punishment so it reflects the financial value of the infringement. As it stands the San Antonio lawmakers have backed themselves into a corner by doing neither so look like laughingstocks with no control. Lawmakers currently appear to be having difficulty applying the common sense rule on an island that welcomes large scale tourism for just a small percentage of the year but seeing as it will be nearly 8 months until the big clubs open once again there’s sufficient time to get the balance right. Just don’t hold your breath.